Welcome to Writers Junction. The Junction is a free service to help writers find other writers for forming critique groups, inspiration, mutual support, and networking. Whidbey Writers Group will assist writers and will mentor them in the process of forming and maintaining a successful critique group. From time to time, WWG will host a get-together with associated groups where we can socialize and discuss writing, publishing, marketing, and other matter of interest to writers. If you’re interested in this program, fill out the form below and a representative from WWG will contact you. Don’t be shy. We’re a friendly bunch of writers. 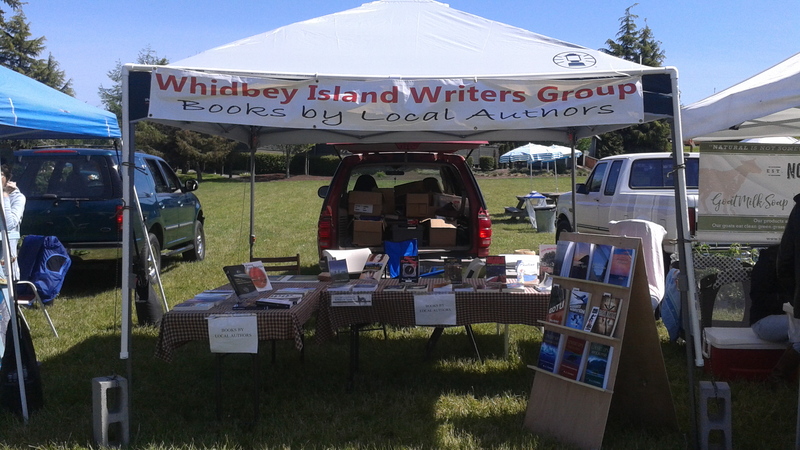 If you want to meet us in person, come by our book stand at the Farmers Market in Coupeville or Bayview on Saturdays, April through October.